Memorial Park Cemetery, located from 78th to 81st and Hillcrest Road, was established as a burial “park” in 1922 by the late Bernard DeVry. Bernard’s idea of a park-like setting was to convert a family farm into cemetery grounds, requiring burials be memorialized only with flat markers. His innovative thinking for the time prospered into one of the most beautiful and peaceful burial grounds in the city. Marble statuary, flowers, lakes, ponds, and thousands of trees adorn the Memorial Park grounds in a 380-acre setting that is truly blessed by nature. In 1964, H.W. “Bill” DeVry, Jr. acquired the adjoining Green Lawn Cemetery at 81st and Hillcrest. Later that year, Park Lawn Funeral Home was established at the corner of 83rd and Hillcrest. 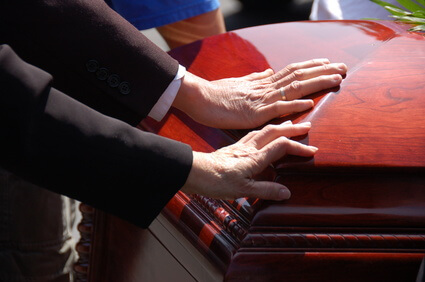 Operating under family ownership and management, Park Lawn Funeral Home is now one of the largest funeral and cemetery complexes serving the entire metropolitan area. The Devry Family maintains the traditions founded by their great-grandfather while remaining mindful in their competitive marketplace. Today, Park Lawn offers beautiful facilities, a caring and responsive staff, and competitive pricing while enjoying the integrity the DeVry Family has held steadfast for four generations.